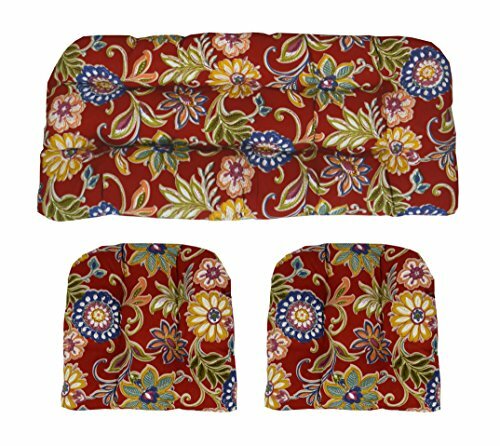 Universal tufted style seat cushions for Wicker furniture. Size: 19" x 41" + 19" x 19"
* To prolong color and wear, store or cover when not in use. *** Please note cushion measurements are from seam to seam.